Our team of traders and sales representatives make the connections with suppliers and customers across the globe. They generate revenue, build and maintain relationships and develop our brand in the hardwood industry. How does all that lumber get from our our yards to any of our customers around the world? Our logistics department makes it happen! Our logistic experts work with internal resources as well as third party firms to find the best route for our products to reach our customers. Keep an eye on our bottom line by working as a member of our accounting, risk assessment or asset management teams. Our human resource team focuses on activities that include employee benefits, employee development, and attracting and retaining the great people who work for Baillie Lumber. Information Technology helps our company by providing s secure, productive infrastructure at all our locations. Customer Service and Sales Support representatives ensure our customers are informed on all aspects of their relationship with Baillie Lumber. Join our team as an intern in many roles, such as a Lumber Trader, Information Technology or Accounting. Internships are the best way to introduce yourself to our business and learn more about our culture. Search below for our current open positions. 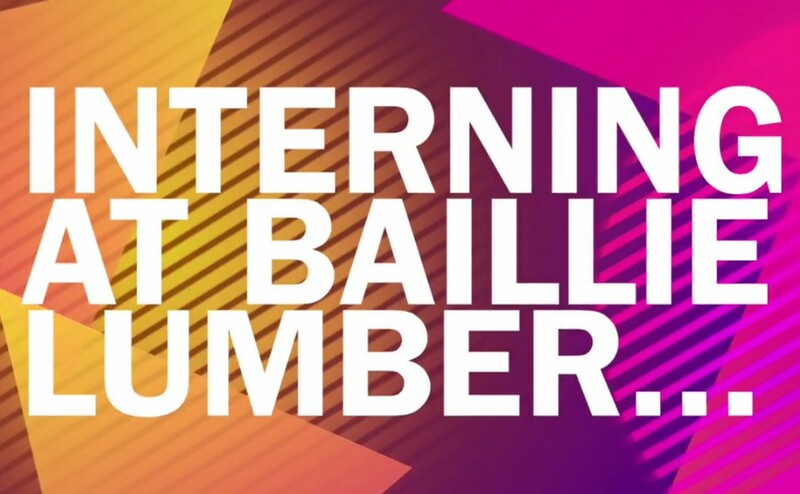 What are internships like at Baillie? What does a Lumber Trader do? Watch this to learn more.